As someone focused on enterprise innovation, particularly related to activities by the CIO and CMO, I pay close attention to startups. While large or established organizations bring scale and process to enterprise technology, startups are where to find people pushing the boundaries of what is possible, interesting, and useful. Invoca. This company was founded on the simple insight that marketers can track, route, and analyze inbound telephone calls much as we follow pathways and inbound links from the web. Invoca overlays modern analytics and web techniques on the lead-to-revenue business process. By generating a unique phone numbers for every caller, the company can evaluate, score, and route inbound calls in real time. It’s fast, clever, and obvious once the concept is explained. Introhive. These folks offer a social selling solution that leverages relationships inside an organization to help sales people find connections with prospects. Introhive has built an opt-in system for mapping relationships and connections in an enterprise against prospects and sales targets. When the software surfaces a match between an internal connection and an external prospect, it asks the “relationship owner” for permission to create an introduction. Introhive combines permission-based introductions with analytics to leverage the “relationship capital” inside a company. Addvocate. This company offers a platform that lets employees share knowledge and leverage online social relationships to help their organization. Addvocate enables employees to create and share content in their own social networks, creating a broad social footprint for the organization while helping employees build their own personal brand. It’s a win-win for both company and employee. Although still a new company, Addvocate already has a raft of competitors, so it seems lots of people are watching their moves closely. I presented this list during a recent episode of CxOTalk, in which @ValaAfshar and I spoke with @KristinDRussell, Chief Information Officer for the state of Colorado. CxOTalk stands for fearless innovation without arrogance, so it was a delight to discuss these startup companies. 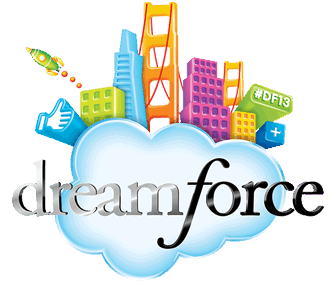 Of course, I realize that some people may disagree with these choices; after all, with so many startups at Dreamforce one person could not realistically choose the best. So, to be clear, I merely selected three impressive companies from among those I spoke with. If your startup is not on this list, it means that we did not talk or you were not as strong on the five criteria points listed above.